The design addresses issues of visual bulk, scale and interest in its residential context. 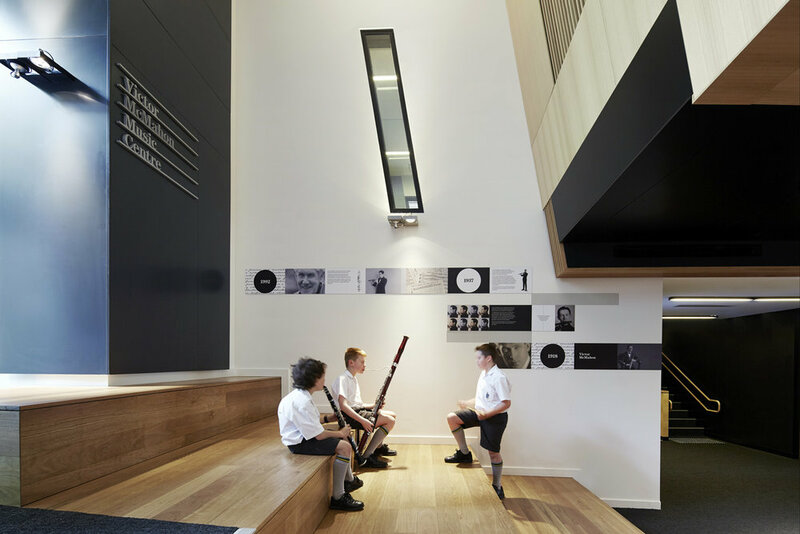 A central gallery promenade for gathering and informal performances provides access to the music centre’s large recital and rehearsal space and a range of smaller spaces for individual and group practice for various instruments. 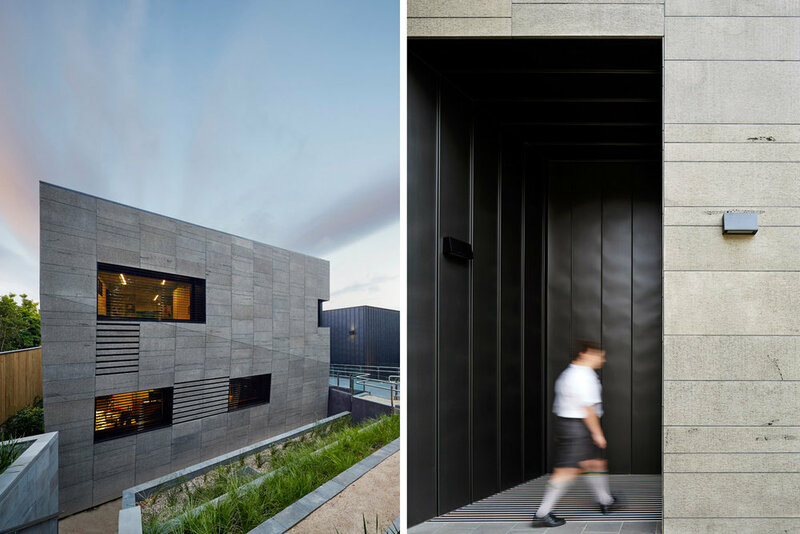 A robust palette of materials responds to the college’s zinc clad sports hall and takes cues from the St Kelvin’s Monastery in Ireland with its stone construction and slit windows to form a composition that is the College’s public face. In contrast the interiors are finished in Victorian Ash; like a musical instrument the spaces are detailed and sculpted to be warm and textural. Graphics provide educational content and a ‘sense of belonging’.